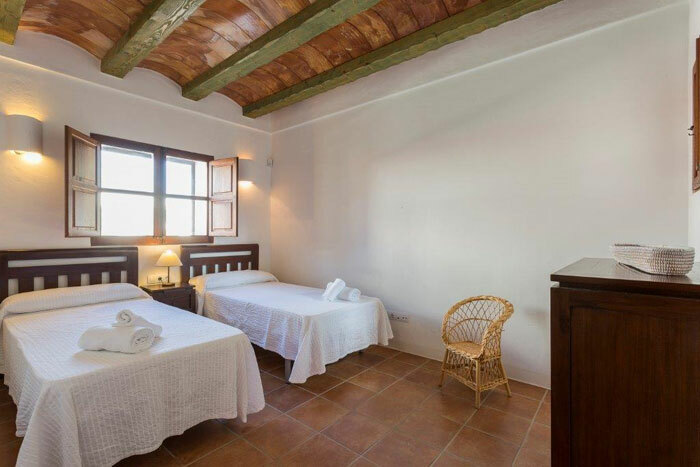 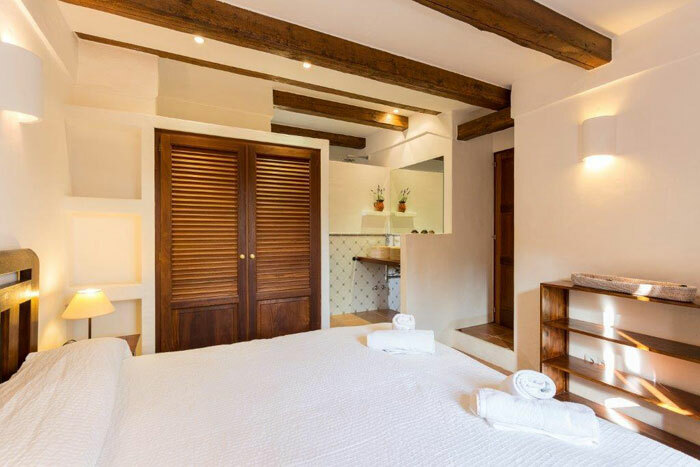 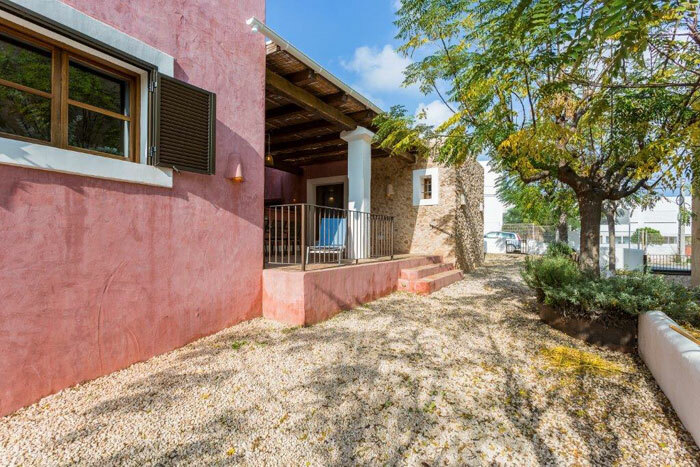 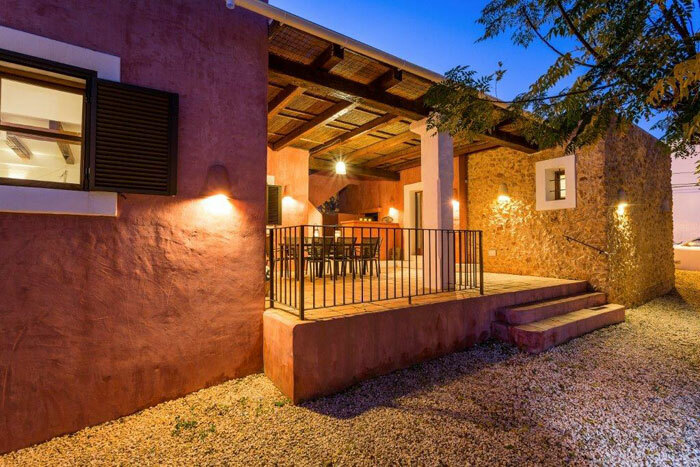 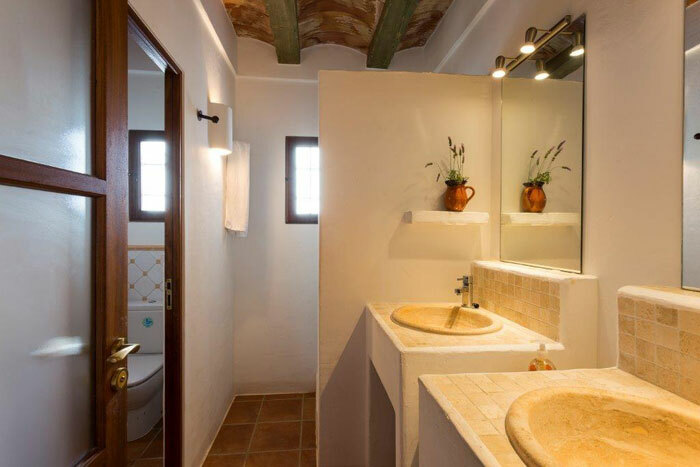 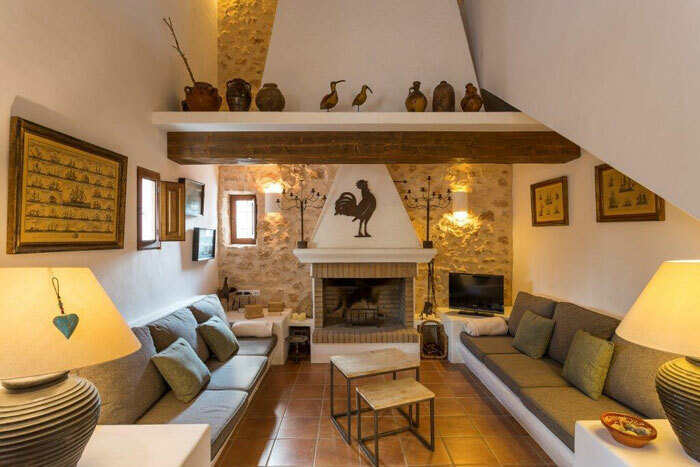 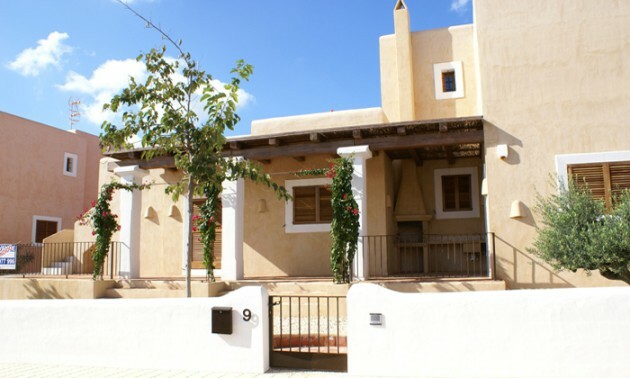 Warming house located on the outskirts of Sant Francesc, with capacity for 10+1 people. 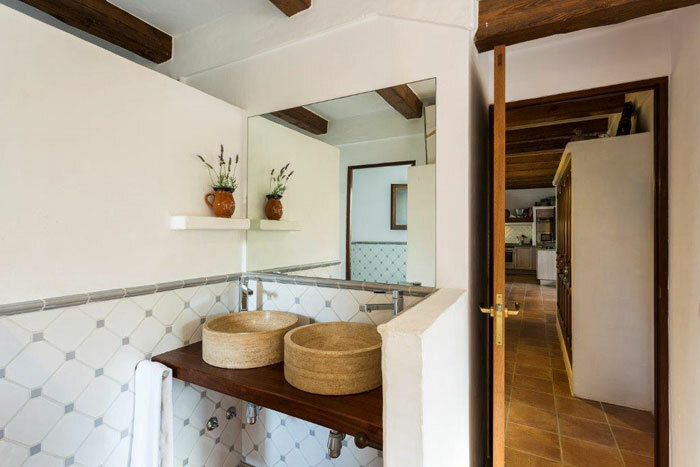 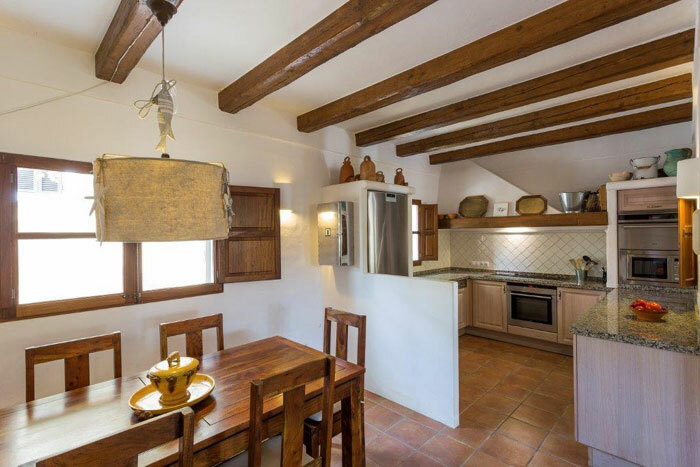 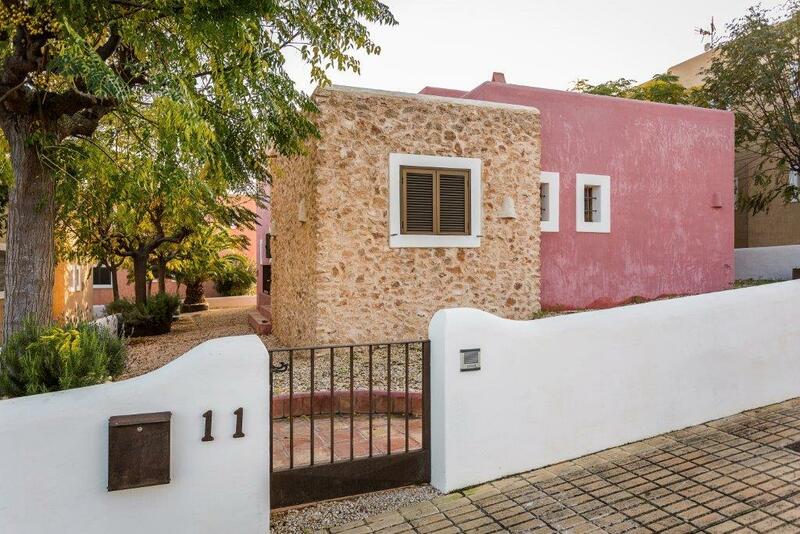 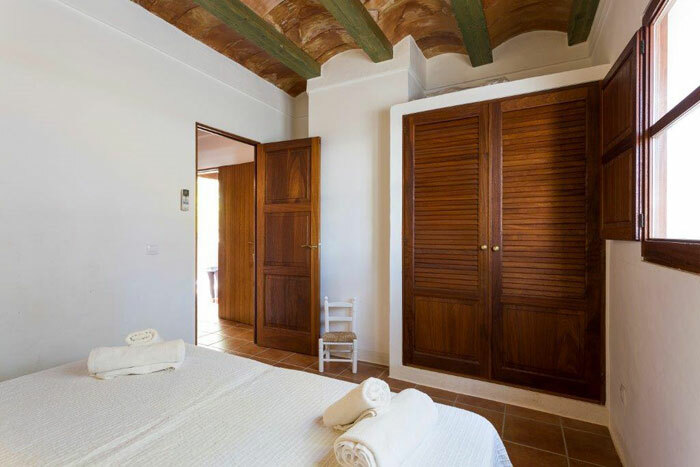 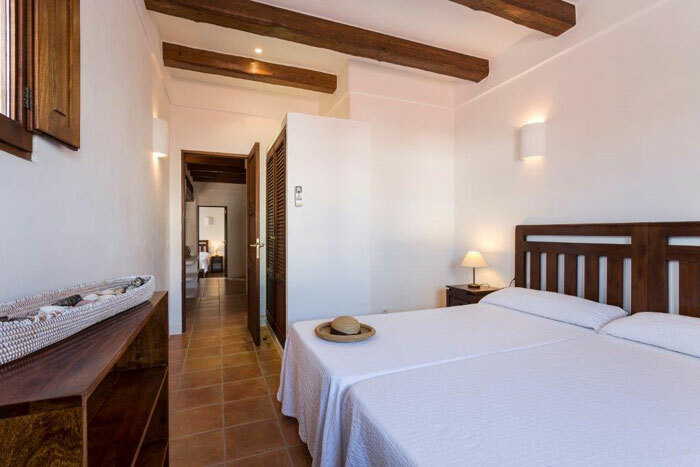 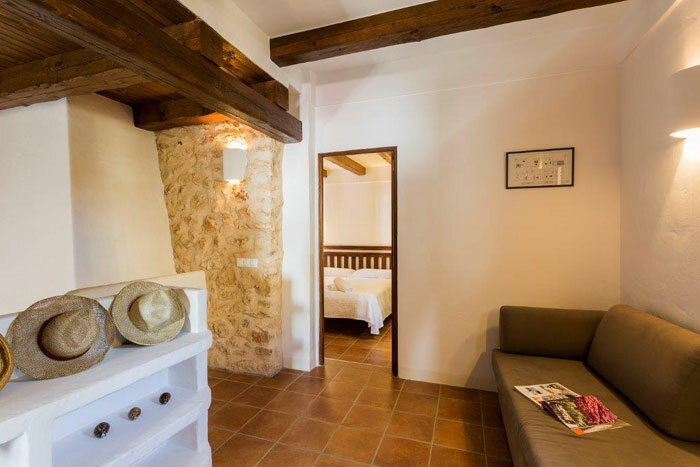 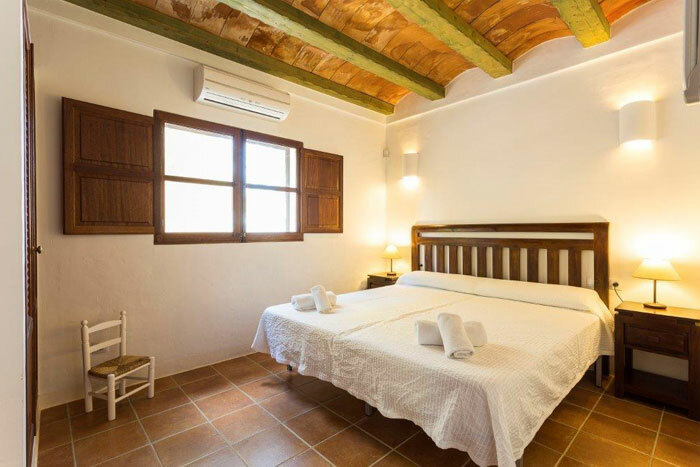 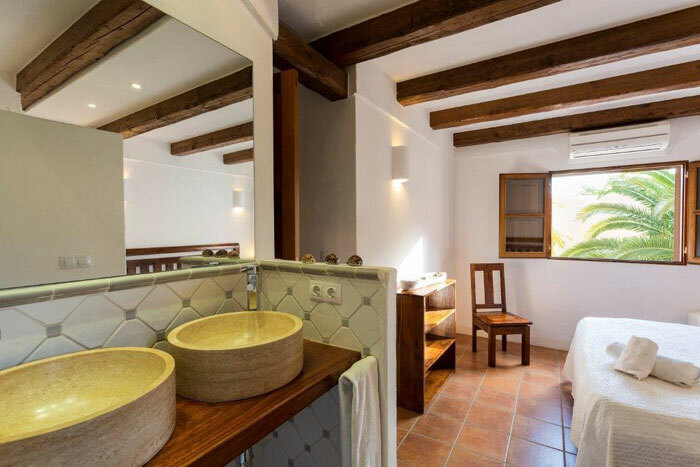 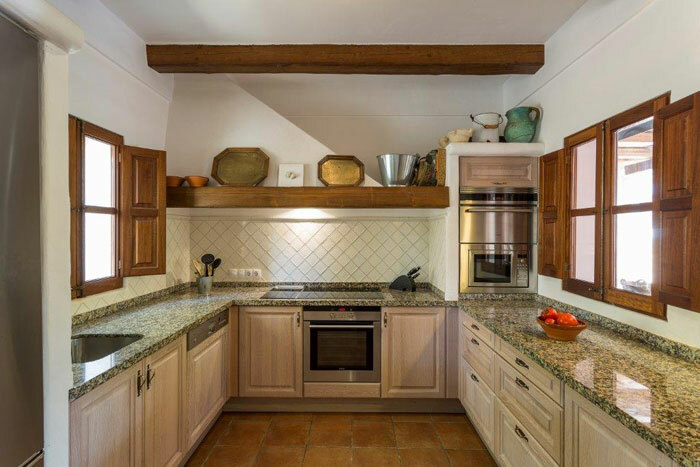 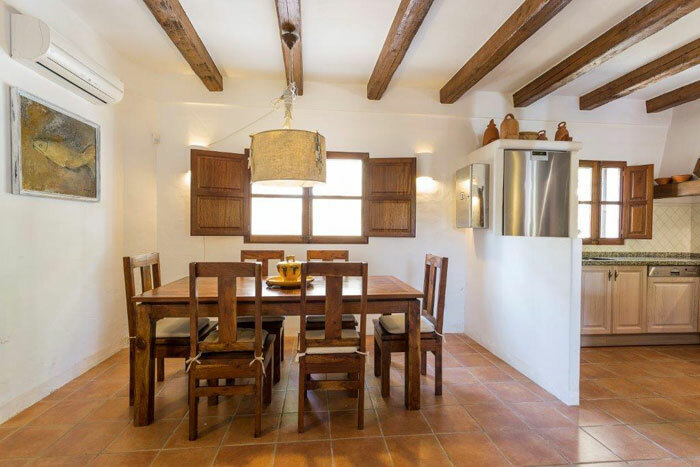 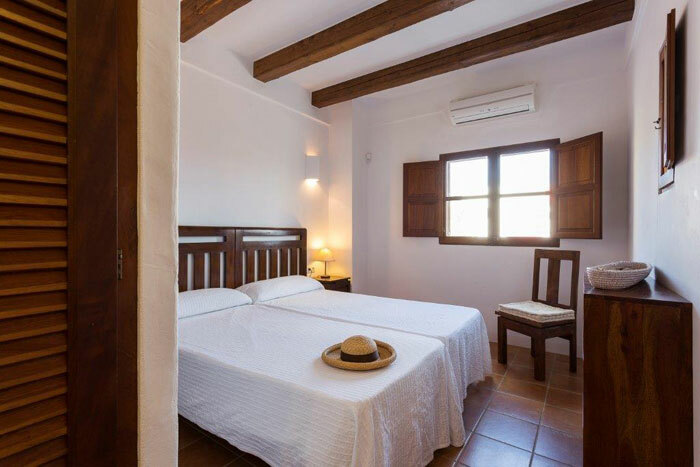 Recently remoladed, it keeps the essence of the ancient houses of Formentera at the same time that stands out by its modernity and delicate care in decortation and details. 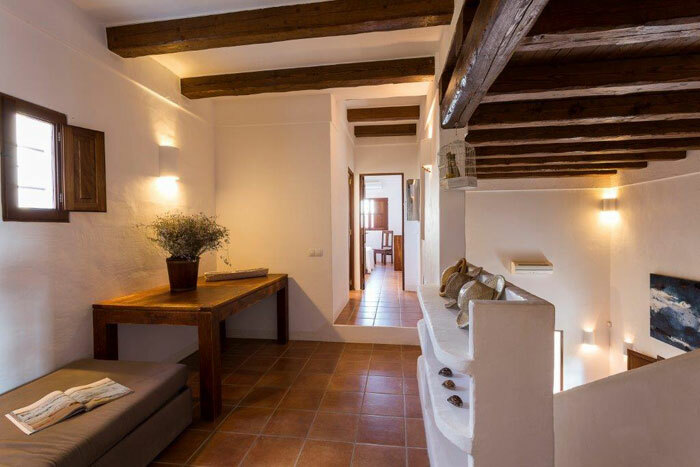 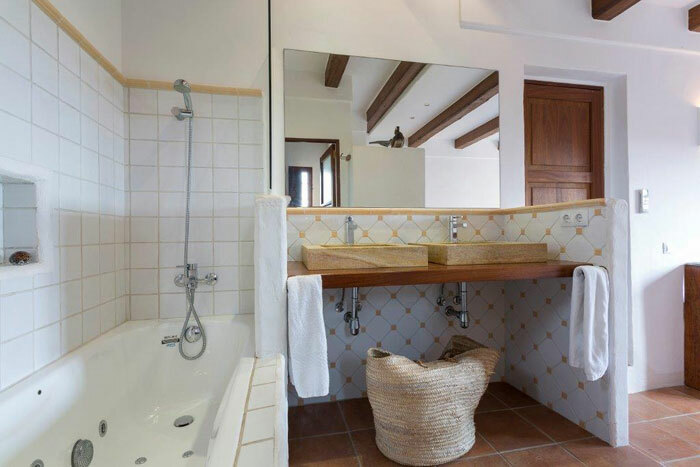 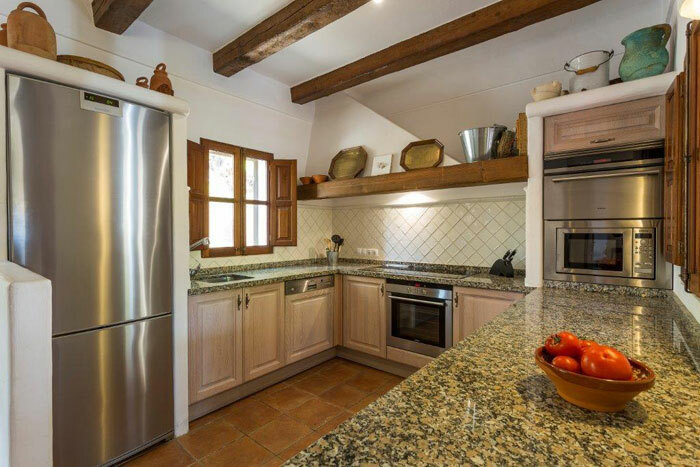 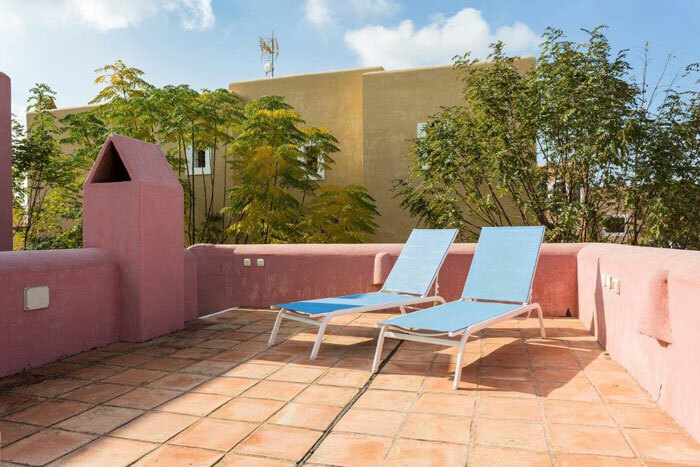 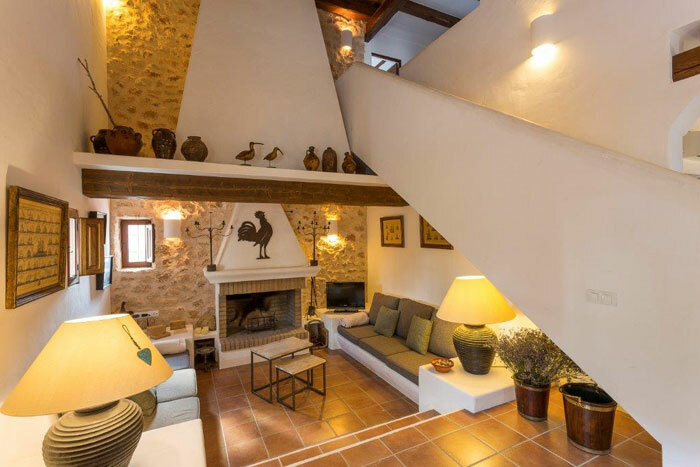 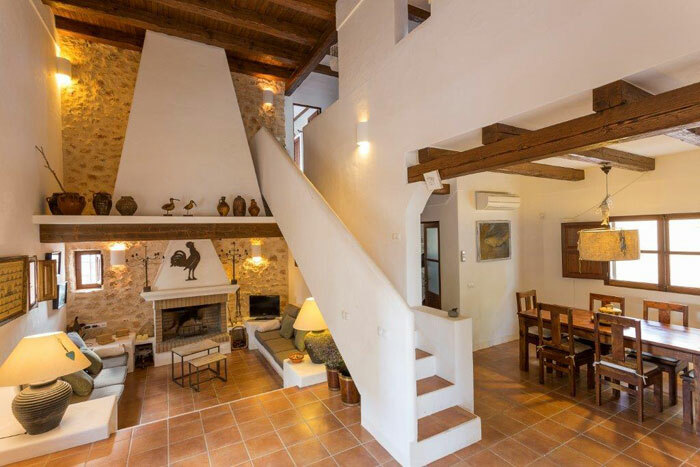 It is a big house of 250 metre squared where you can enjoy your holidays in a warm and comfortable atmosphere. 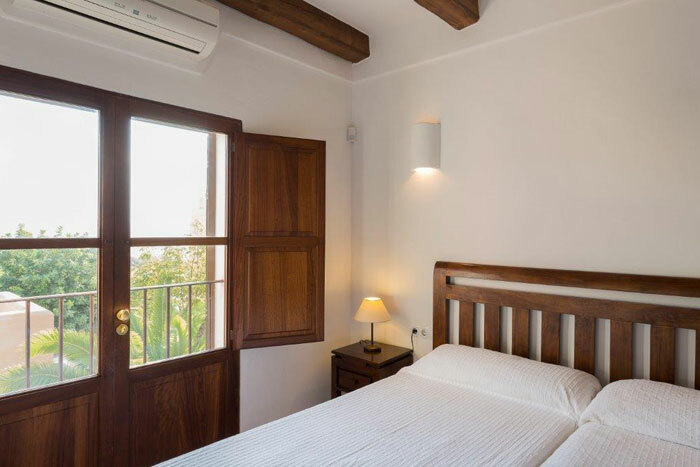 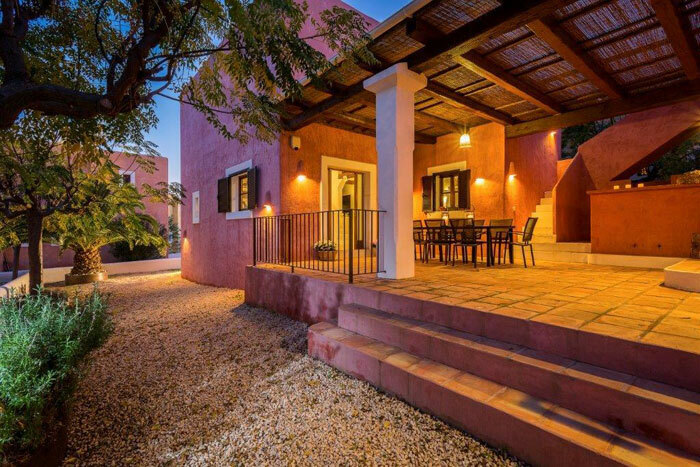 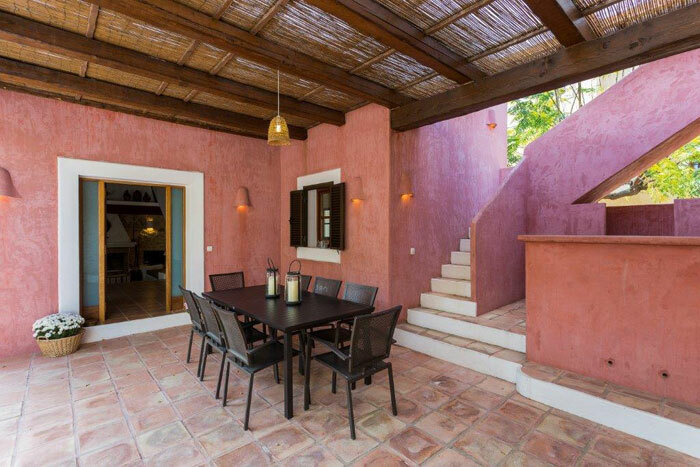 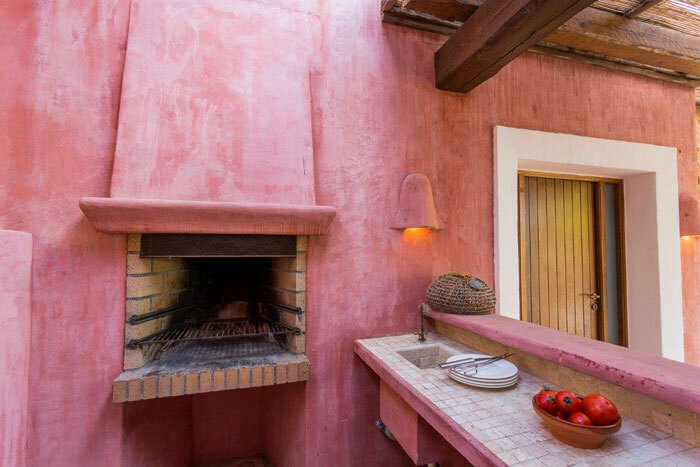 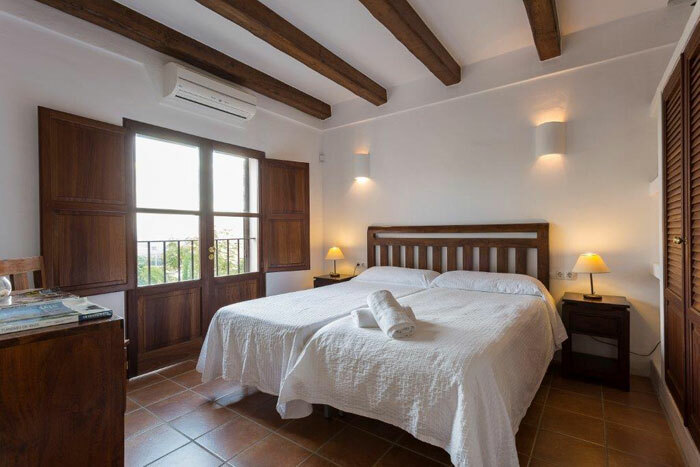 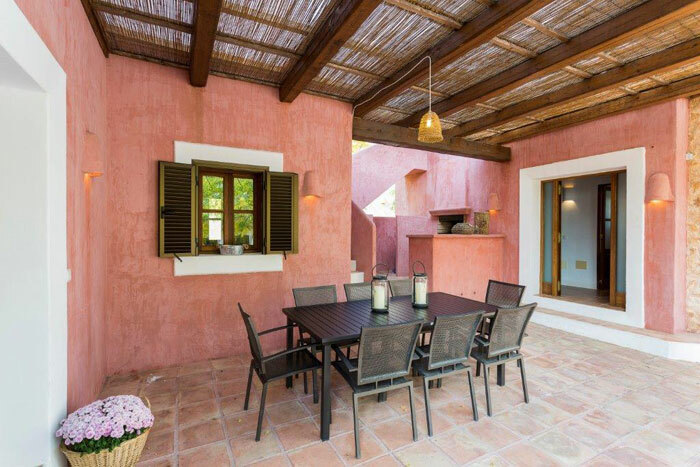 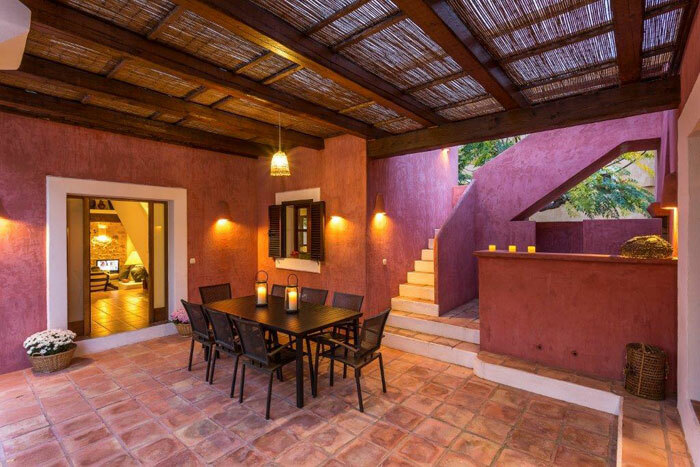 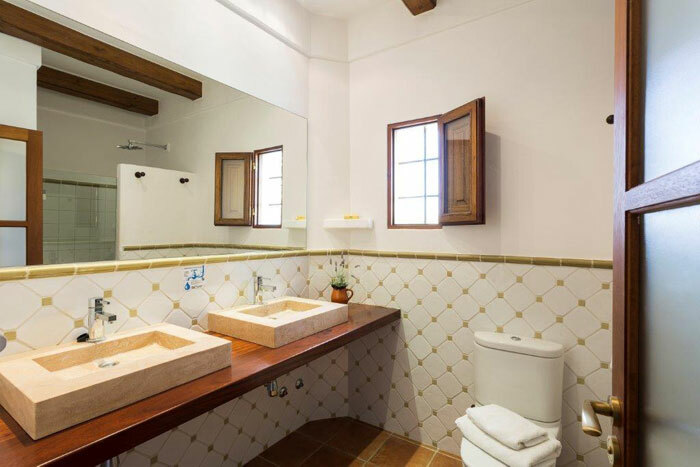 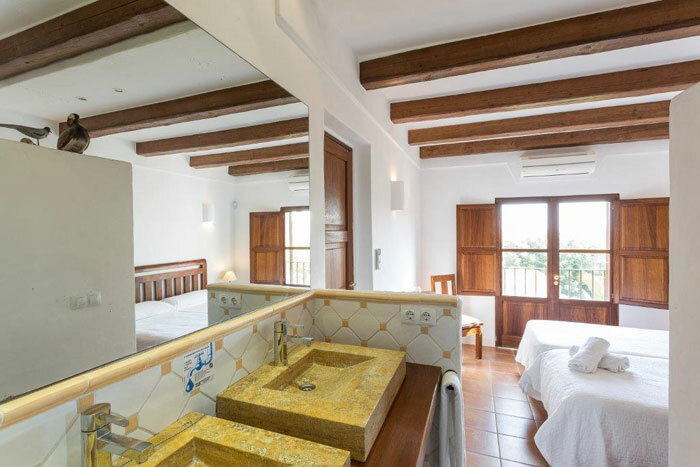 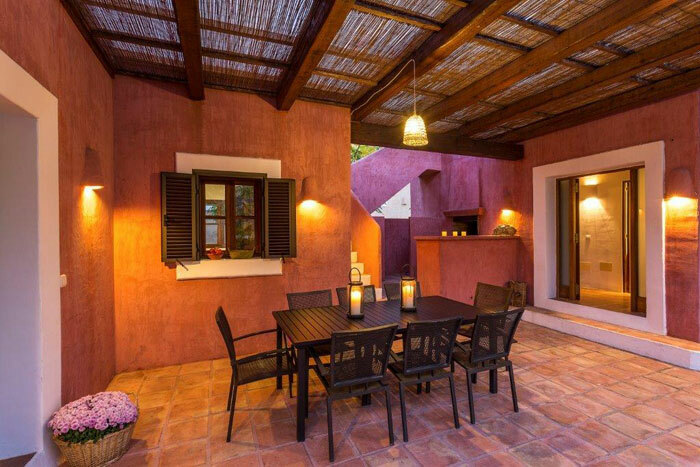 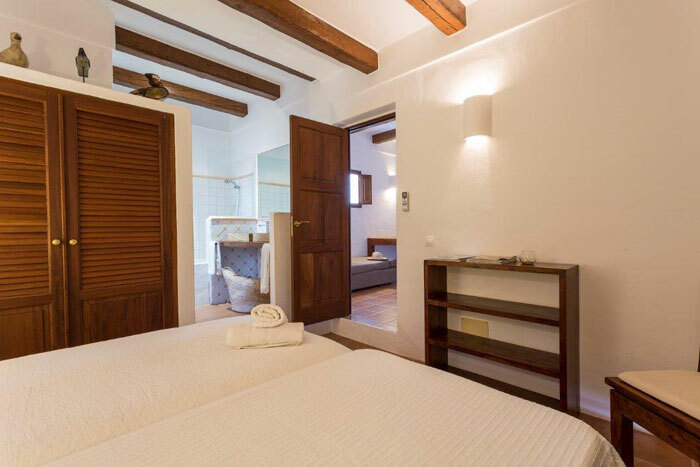 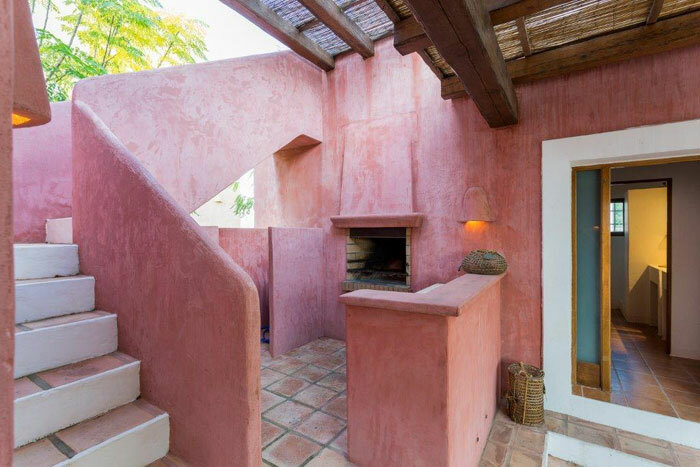 It has 5 double rooms, 4 bathrooms, large living dining room, balcony, terrace and gallery. 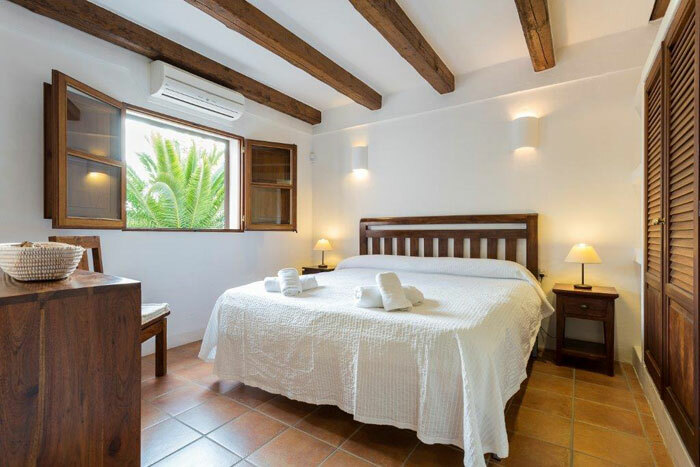 It also has wifi, air conditioning, jacuzzi/hydromassage, fireplace, full equipated kitchen with cooktop, refrigerator, dishwasher, oven, microwave, washing/drying machine, kitchenlinen, a private garage, bedlinen, outside furniture, solarium and hammock. 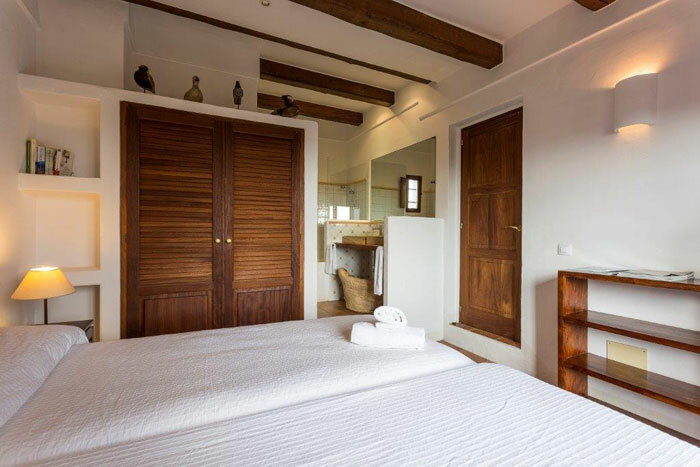 Cleaning service and bedlinen change one day a week.